Promoting exercise through comfortable and healthy recreational cycling. 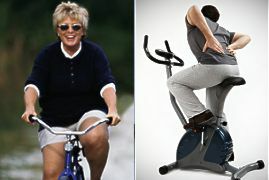 Use a Bicycle Seat on Your Exercise Bike! 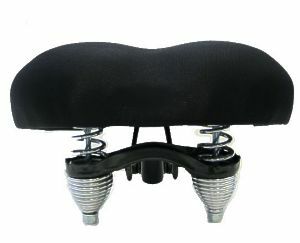 Use our bicycle seats and gel padded seat covers on your exercise bike or stationary bike. they also fit street bikes, mountain bikes, road bikes, touring bikes, comfort bikes, and mopeds too. For road bicycles and exercise bikes. Mounting Information - Do I need one? Cover Information - Do I need one? Our narrowest Gel seat is one of our most comfortable. This seat has a unique GelFoam technology design. This is important! Many gel saddles use a liquid gel that can solidify turning into a saddle that feels like concrete! This saddle will not, because of a Multi-stage Gel. It's softer gel/foam on top and a more dense gel on the bottom. This design is much nicer then most, and helps eliminate bottoming out the padding. 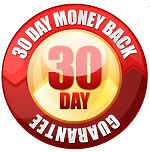 Guaranteed Comfort Or Your Money Back! 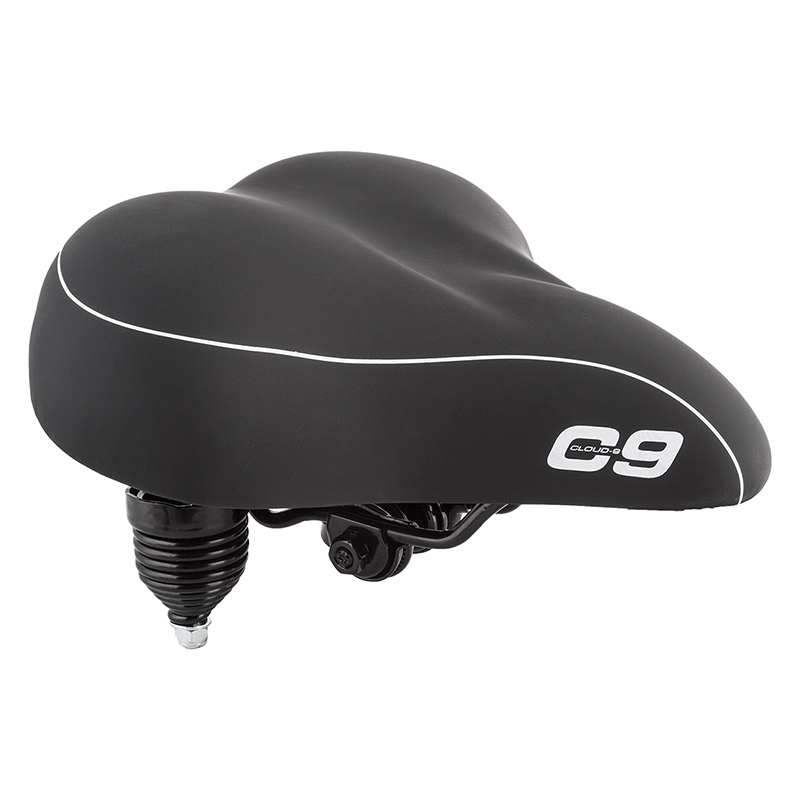 Our universal design allows this seat to be mounted to any bicycle, well, any we�ve seen in the last 25 years anyway! Mounting instructions are included. Please note that exercise bike manufactures do not use a standardized mounting hardware. If you need an seat adaptor we have them in stock, so you can use this seat or almost any other seat you want on your exercise bike. Mounting may require an adapter kit. Choose the right adaptor. Seat adaptors instructions. If you have a question regarding compatibility give us a call. or we will custom make an adaptor to fit your bike. any modern bike seat to your exercise bike! Exercise bikes are the old standbys of the home fitness world; they've been around longer than treadmills, elliptical trainers, rowing machines and skiers. Experts say exercise bikes are safe, effective, and as easy to use by seniors and pregnant women as by the most avid fitness enthusiasts. The stress on knees and joints is less on a bike . Fitness professionals and home users agree that a major problem with exercise bikes is an uncomfortable seat. Another is boredom. The biggest mistake a consumer can make is getting a poorly made bike with few features to alleviate the pain and inevitable workout slump, or a bike that's so loud that you can't read or watch TV. Bob Howells of Outside Magazine warns that this is not the time to buy an off-brand, generic, cheaply made bike. A quality stationary bike will give you control over the intensity of your workout, options for specific courses designed to replicate the road bike experience, and they'll be quiet enough not to drive you nuts with noise. If the bike is more comfortable, you will get more exercise. You have already invested in your health, invest a little in your own comfort and get back on your bike! Most exercise bike seats are poorly designed! We have a solution! There are recent concerns about Americans getting enough exercise. Did you know that an exercise bike is a low impact exercise with great cardio-vascular benefits? Watch TV, read, or play games while getting much needed cardio exercise. Our bicycle seats help relieve pain and numbness allowing you to get more exercise, more comfortably. Please see the growing list of information concerning these issues for men and women. See The Most Comfortable Exercise Bike Seat Available. 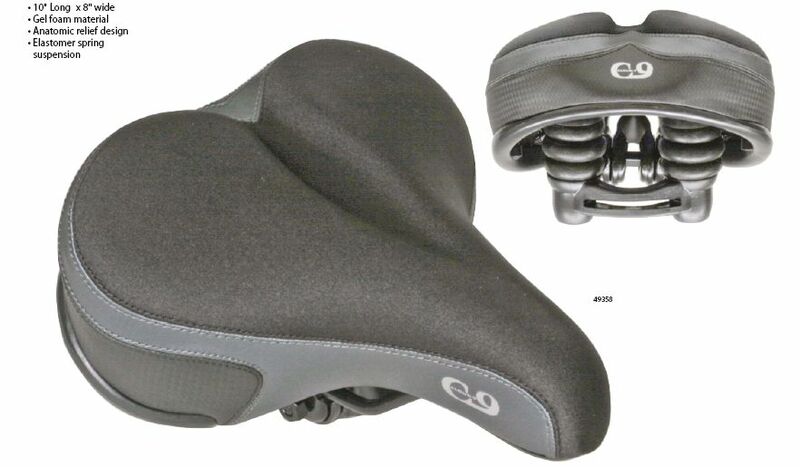 Use our bicycle seats and gel padded bicycle seat covers on your exercise bike or stationary bike too. They also fit street bikes, mountain bikes, road bikes, touring bikes, comfort bikes, and mopeds. 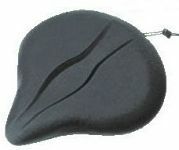 NEW - Seat Pads for recumbent bikes and rowing machines!